A VETERAN freediving instructor says authorities are missing a valuable tourism grab by refusing to open up Hinze Dam to swimming and diving. Clinton Laurence, of Freediving Gold Coast, said water storage authority Seqwater had created a precedent by allowing swimming at State dams such as Atkinson, Baroon Pocket, Lake Dyer, Enoggera and Ewen Maddock. The decision not to allow it at the city’s biggest dam was based on a “policy masquerading as science”. “Tourists to the Gold Coast want to do this activity,” Mr Laurence said. Swimming and diving are allowed at some southeast Queensland dams, but Hinze dam is not one of them. Picture: L’Oreal Steytler. A spokesman for Seqwater said swimming and diving represented too great a risk to water quality. Paddling, electric-powered boating and fishing were allowed at the dam, but diving created greater human contact with the water, enhancing the risk of bacteria. “Seqwater’s water-quality specialists conduct risk assessments to determine which activities can be permitted at each of our drinking water dams. Our core responsibility is to ensure we do not allow any activities which could place our drinking water quality at risk. 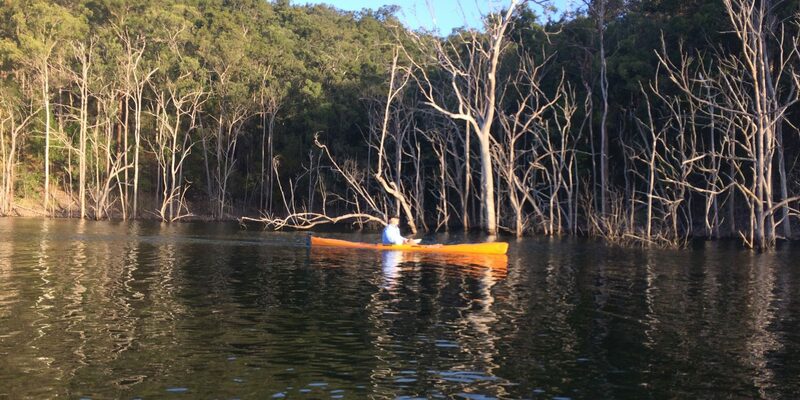 “At Hinze Dam, we allow secondary contact (on-water) recreation such as paddling, electric-powered boating and fishing. However, we do not allow primary contact (in-water) activities such as swimming, diving and water skiing. Mr Laurence called the ban unfounded and supported by “pseudo science”. “Seqwater has failed to answer my questions and provide any scientific evidence to support their policy. I strongly believe it is policy masquerading as science. I haven’t seen any risk assessments or scientific papers which back Seqwater’s position,” he said. Mr Laurence said he was confused why diving and swimming were allowed at some dams, but not others.